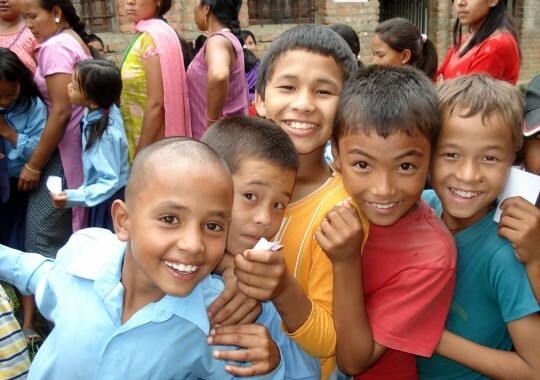 Large parts of the Nepali population live in poverty and are unable to access education, health services, information and resources necessary to bring positive and lasting change for themselves, their environment and their own community. PSD was formed in 2002 to support the underprivileged communities of Nepal, and in particular the disabled, women and children, and youth. PSD Nepal is marking in 2017 its 15th anniversary of service in Nepal. PSD Nepal is dedicated to the alleviation of poverty, sustainable development and the empowerment of communities within Nepal. PSD Nepal recognizes that the survival, protection and development of the most vulnerable members of society is imperative and integral to Nepal’s growth. PSD was started in 2002 by seven professionals working in international organizations. Here is our story. We had all been working in development for a long time. Whilst working we tried to reinvent the wheel to serve the local people. This was hard given the international guidelines of international development organisations. At times we would disagree or have problems to structure how we could implement our projects. We decided to go independent. Seven of us would meet together and eventually we left our lucrative jobs to start PSD Nepal. Starting PSD Nepal empowered us to work with locals and talk with people who wanted to develop Nepal further. We worked primarily on small scale projects. Our focus was on rural communities and vulnerable people. We would fundraise through networks in the West, notably the UK. We found small scale rural projects compelling to develop local communities - providing drinking water, safe toilets, better sanitation and hygiene. Our focus was always 100% service to the local community. Schools were a key focus for us. Wells with limited water or no taps or no tanks were limiting water for school children. We felt hugely empowered by impacting local communities. These projects were different - local, participatory, sustainable. The clear vision of PSD Nepal is to connect people - to be a bridge between // We look to connect rural people with better access, resources, and materials, bringing professionals and volunteers from overseas to invest in these vulnerable communities. Local projects are our heart - directly helping the life of local children, and serving vulnerable people in rural communities, whether women, young girls, or disabled children. PSD Nepal also exists to connect children to nature - with International Mud Day, Learning from Mother Nature, and outdoor classroom modules. PSD Nepal bases its work within community centres and schools, targeting the underprivileged, the marginalized, the disabled, women and children, and young people to further their personal development and contribute towards the overall development of their communities. 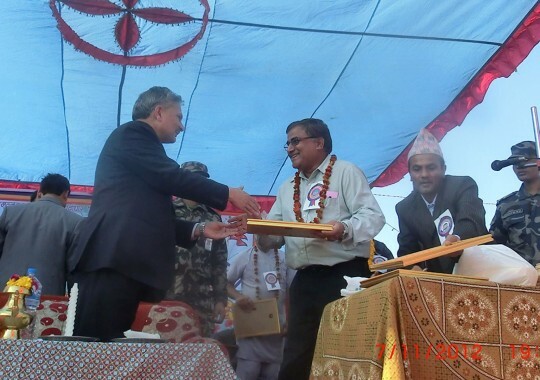 In 2012 PSD Nepal built a new school in the Gorkha region of Nepal. The opening ceremony was attended by the Prime Minister of Nepal, who inaugurated this new building project. The Prime Minister also awarded PSD Nepal with a Recognition Award for services to the country of Nepal, notably through community development programs and social development work in schools. The PSD Nepal philosophy of development is focused on collaborative partnerships - ensuring grassroots leadership. We want local people to lead development activities, in a bottom-up approach, rather than a top-down instrumental approach. All projects are co-created with our local partners. PSD Nepal engages in development by collating local proposals - from rural schools and communities - which are then corrected and amended. These are sent to our partners, whether national or international. With funding, we implement these projects, many of which are volunteer led, and followed up by a final report. Nepal, officially called the Federal Democratic Republic of Nepal is a landlocked central Himalayan country in South Asia. Nepal is divided into 7 states and 77 districts. It has a population of 29.4 million and is the 93rd largest country by area. Bordering China in the north and India in the south, east, and west, it is the largest sovereign Himalayan state. Nepal has a diverse geography, including fertile plains, subalpine forested hills, and eight of the world's ten tallest mountains, including Mount Everest, the highest point on Earth. Kathmandu is the nation's capital and largest city. 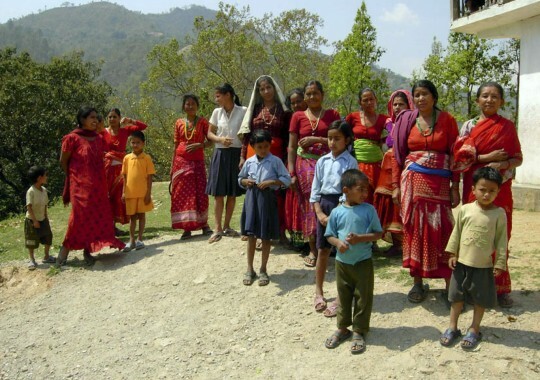 Nepal is a multiethnic nation with Nepali as the official language. Eighty percent of the country is either high himalayan mountain or foot hills and around twenty percent of Nepal is inhospitable, due to high energy steep-sided environments and altitude. 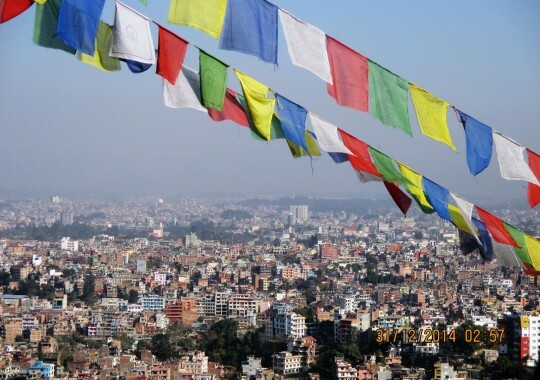 Around 4 million Nepali people live in the capital city, Kathmandu. The Kingdom of Nepal was established in the mid-18th century. A Gorkha embarked on his mission by securing the neutrality of the bordering mountain kingdoms. After several bloody battles, he managed to conquer the Kathmandu Valley in 1769. Rivalry between Kingdom of Nepal and the East India Company over the annexation of minor states bordering Nepal eventually led to the Anglo-Nepali War (1815–16). At first the British underestimated the Nepali and were soundly defeated until committing more military resources than they had anticipated needing. They were greatly impressed by the valour and competence of their adversaries. Thus began the reputation of Gurkhas as fierce and ruthless soldiers. Factionalism inside the royal family led to a period of instability. In 1846 a plot was discovered revealing that the reigning queen had planned to overthrow Jung Bahadur Kunwar, a fast-rising military leader. In the late 1940s, newly emerging pro-democracy movements and political parties in Nepal were critical of the Rana autocracy. After years of power wrangling between the king and the government, King Mahendra (ruled 1955–72) scrapped the democratic experiment in 1959, and a "partyless" Panchayat system was made to govern Nepal until 1989. In 1996, the Communist Party of Nepal started a violent bid to replace the royal parliamentary system with a people's republic. This led to the long Nepali Civil War and more than 15,000 deaths. On 1 June 2001, there was a massacre in the royal palace. By 2008 it was declared that Nepal had become a secular and inclusive democratic republic, with the government announcing a three-day public holiday from 28–30 May. The king was thereafter given 15 days to vacate Narayanhity Palace so it could reopen as a public museum. Nonetheless, political tensions and consequent power-sharing battles have continued in Nepal. The present constituent assembly was transformed into a legislative parliament by the then-chairman of that assembly in 2015. The new constitution of Nepal has changed Nepal practically into a federal democratic republic by making 7 unnamed states. Nepal is transitioning into fedaralism.